The 2019 Audi Q7 sets the standard for the modern full-size luxury SUV. The Q7 comes standard with legendary Audi quattro® all-wheel drive which delivers unmatched performance both on and off the road. An impressive optional supercharged TFSI® V6 engine delivers an impressive 329 horsepower. Drivers will find the latest tech safety features in the Audi Q7, with available collision avoidance assist technologies, traffic jam assist, and Audi pre sense® city with pedestrian detection. Safety remains a top priority on the Audi Q7, which comes standard with a wide array of active and passive safety features. Fully automatic LED headlights and LED taillights accent the dynamic styling of the Q7. For an audio experience like no other, the available BOSE® 3D Sound System with 19 speakers is sure to impress. 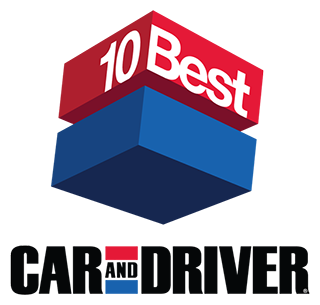 For a second consecutive year, the Audi Q7 has earned Car and Driver’s “10Best Mid-Size Luxury Truck & SUV” Award in 2018. 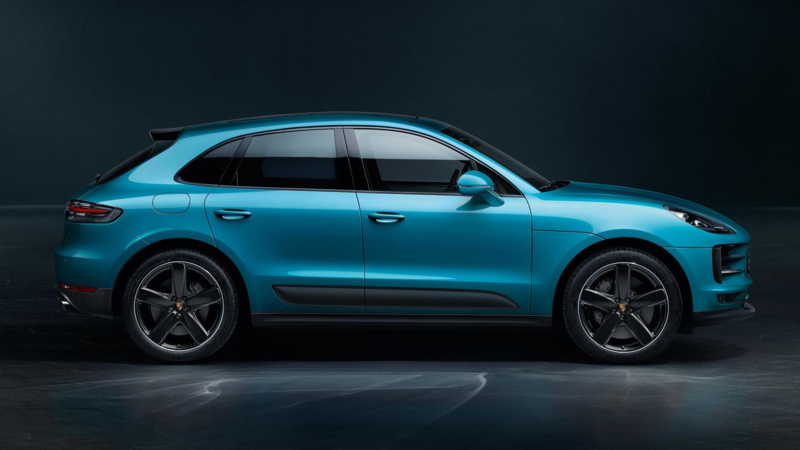 Revised for 2019, the iconic Porsche Macan builds on its impressive legacy in an effort to cater to drivers who crave the ultimate performance from their compact luxury SUV. Creating a look that’s unmistakable as a Porsche, the new Macan features a coupe-like sloping roofline which creates a characteristic sports car contour. At the rear, the Macan wears a new taillight strip which emphasizes new four-point brake lights. Giving you unrivaled control of multimedia, a new 10.9-inch touchscreen display in Porsche Communication Management (PCM) now offers full-HD resolution and a personalized start screen. An active all-wheel drive system Porsche Traction Management (PTM) and optional Porsche Active Suspension Management (PASM) work in tandem to produce an inspired sense of control behind the wheel of the Macan. The Porsche Macan is available in an extensive range of distinctive models, making it simple to choose the one that’s perfectly suited to your driving style. 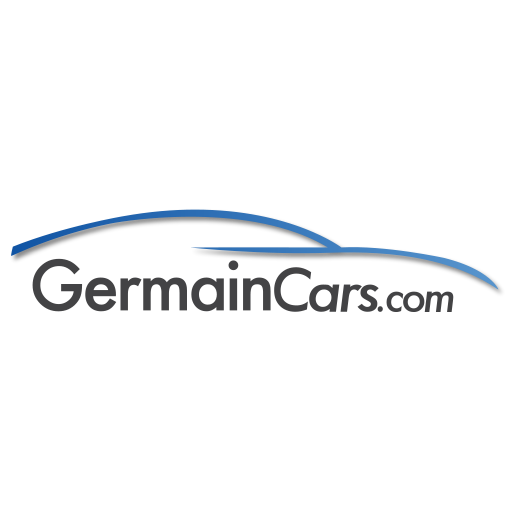 Kelley Blue Book has named the Porsche Macan as the Best Luxury Compact SUV/Crossover in the 2018 Best Resale Value Awards. The Lexus RX lineup ranges from the popular RX 350 and RX Hybrid to the performance-oriented RX F SPORT and versatile RX L. Drivers searching for utility with heightened luxury should look no further than the Lexus RX. A 295-horsepower 3.5-liter V6 engine with eight-speed automatic transmission comes standard on RX 350 models. Lexus pioneered the first hybrid luxury SUV and that heritage shows on the RX hybrid. Opt for the RX 450h to experience Lexus Hybrid Drive with an Atkinson-cycle V6 engine, 308 total system horsepower, and a 30-MPG combined fuel economy rating. RX F Sport models take performance to the next level with bold exterior styling, Adaptive Variable Suspension, 20-inch alloy wheels, and enhanced powertrains. The RX L provides three-row seating for up to seven passengers and generous cargo capacity for your next weekend getaway. Interior highlights include an available 12.3-inch high-resolution multimedia display, 15-speaker, 835-watt Mark Levinson Premium Surround Sound Audio System, Panoramic View Monitor, and 3D navigation. Kelley Blue Book has named the Lexus RX as the Best Luxury Midsize SUV/Crossover in the 2018 Best Resale Value Awards. Competition among midsize luxury SUVs has never been stronger. 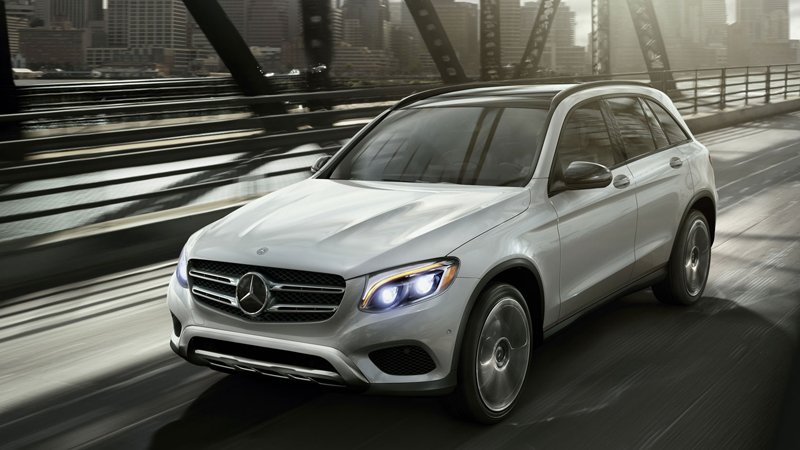 The 2019 Mercedes-Benz GLC comes standard with a turbocharged 2.0-liter 4-cylinder engine with 241 horsepower connected to a 9-speed automatic transmission. Convenience features available on the GLC include Mercedes me with smartphone app and 4G LTE WiFi, COMAND® with navigation touchpad and 8.4-inch color screen, along with KEYLESS-GO® and HANDS-FREE ACCESS liftgate. Safety features on Mercedes-Benz GLC are designed to seamlessly work together to keep drivers out of danger on the road. 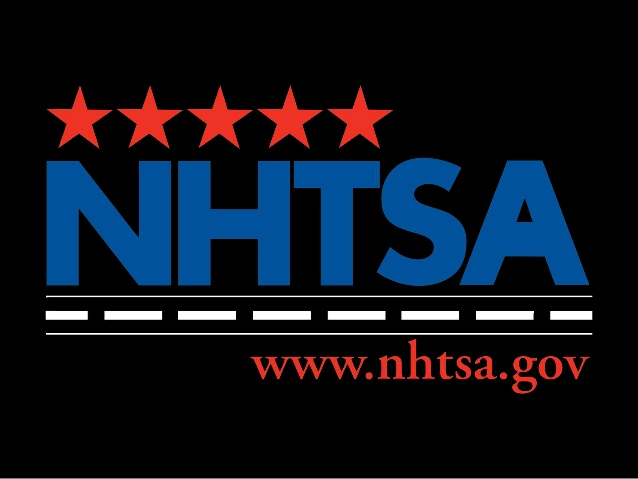 Highlights include class-exclusive Crosswind Assist, COLLISION PREVENTION ASSIST PLUS, PRE-SAFE®, and AGILITY CONTROL. Available 4MATIC® all-wheel drive provides precise traction inputs to keep the GLC stable in various road conditions. For the ultimate experience, the Mercedes-Benz AMG GLC43 boasts a 362-hp 3.0L V6 biturbo engine, AMG-tuned suspension, aggressive styling, and available 21-inch alloy wheels. The sophisticated 2019 Cadillac XT5 boasts streamlined styling along with a spacious and versatile interior. Available 20-inch wheels, illuminated door handles, and signature LED lighting help accent the new exterior design. Inside the XT5 the styling cues continue through the use of hand-stitched leather, wood, other fine materials. Stay connected with the standard 4G LTE internet connectivity with a built-in WiFi hotspot and Cadillac CUE system. Optional Rainsense Wipers automatically engage when rain is sensed and adjusts speed accordingly. Available in both FWD and AWD, XT5 is equipped with a 3.6-liter V6 310 horsepower engine. 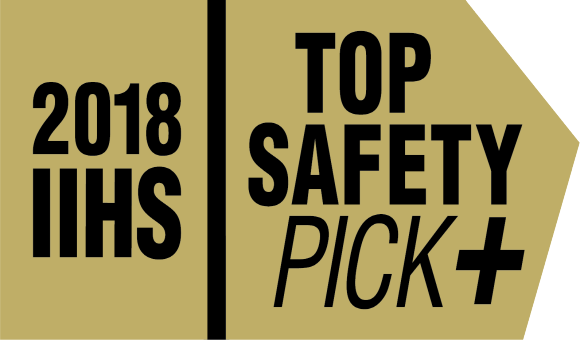 A testament to the Cadillac commitment to safety, the 2018 XT5 (when equipped with optional AWD) was awarded with a 5-Star overall safety rating by the National Highway Traffic Safety Administration (NHTSA). 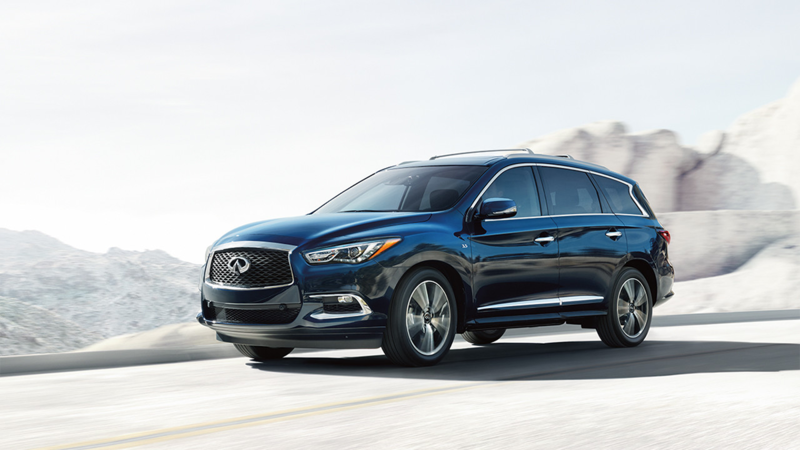 The 2019 INFINITI QX60 is a midsize luxury crossover SUV that offers impressive safety, a refined interior with seating for 7 passengers, and sharp styling. Available Intelligent All-Wheel Drive and a fuel-efficient hybrid powertrain highlight the outstanding capability of the QX60. Standard power on the QX60 comes in the form of a 3.5-Liter V6 Direct Injection Engine with 295 horsepower. The QX60 features Distance Control Assist (DCA), which maintains appropriate space between the vehicles during bumper-to-bumper traffic jams and helps to mitigate collisions. The interior is loaded with comfort amenities such as hands-free entry, heated seats and steering wheel, an all-new Motion Activated Liftgate, along with ambient interior Welcome Lighting. With seating for 7 passengers, available Tri-Zone Automatic Temperature Control helps keep every occupant comfortable. Open the optional second and third-row glass panoramic roof on the QX60 to bring fresh air and natural lighting into the cabin. INFINITI InTouch™ with Navigation keeps you connected no matter how far you travel, and as an extra bonus to your wallet – Kelley Blue Book selected the QX60 as a 2018 5-Year Cost to Own award winner in the Midsize Luxury SUV segment. Drivers looking for sporty driving dynamics without sacrificing luxurious comfort should look no further than the BMW X3. Power comes in the form of either a 248 horsepower 2.0 liter 4 cylinder or a 355 horsepower 3.0 liter 6 cylinder, each with BMW TwinPower Turbo systems. Available xDrive all-wheel drive intelligently redistributes power among the wheels within milliseconds following a loss of traction. 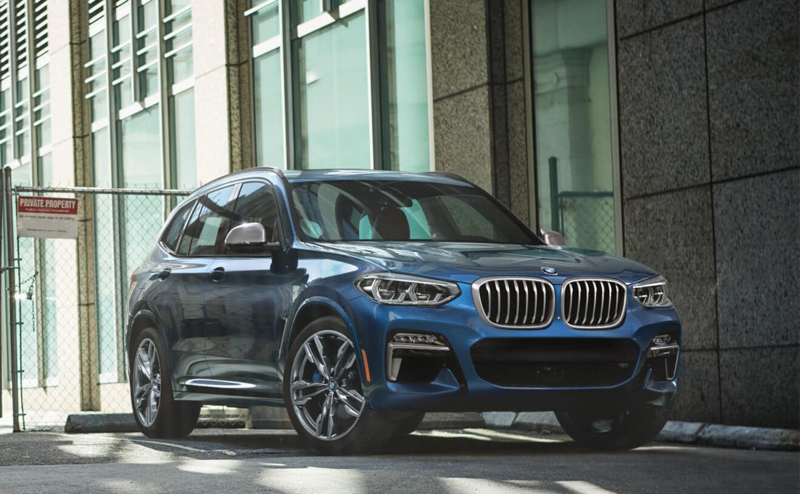 BMW X3 comes equipped with the all-new BMW iDrive 6.0 system which includes Spotify and Pandora connectivity, enhanced graphics, new iDrive controller, and adaptive navigation. X3 features expansive cargo capacity with 28.7 cubic feet to 62.7 cubic feet of space when the rear seat is folded down, perfect for those with active lifestyles. Additionally, the 360° panorama Surround View Camera System aids in tight parking situations while Variable Sport Steering adjusts the steering ratios for easier maneuvering. 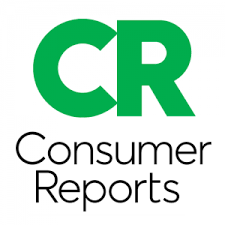 Consumer Reports has chosen the 2018 BMW X3 as the winner of the Luxury Compact SUV category in its annual 10 Top Pick Cars selection. Offering dynamic styling, proven performance, and uncompromised luxury — the striking Jaguar F-PACE has the capability for every road and the capacity for every day. Eye-catching design elements found on the exterior of the F-PACE include Jaguar ‘J’ blade daytime running lights, Adaptive LED Headlights, aerodynamically efficient alloy wheels, and a commanding front grille to help you stand out in a sea of ordinary. Representing the pinnacle of luxury SUV performance, Jaguar F-PACE SVR models are powered by an impressive 5.0-liter supercharged V8 which produces 550 horsepower and lets you achieve a top track speed of 176 MPH. Every F-PACE comes standard with all-wheel drive featuring Intelligent Driveline Dynamics software for precise handling and minimized understeer across all road surface conditions. Perfectly blending elegance with ergonomics, the interior of the F-PACE impresses with optional Performance seats in perforated grained leather, contemporary British craftsmanship, and a panoramic glass roof. Cutting-edge tech features found inside the interior are a standard 10-inch Touch Pro display with swipe and pinch-to-zoom gestures, a Meridian™ Sound System, and InControl® Apps™. Featuring a revolutionary design philosophy, the Range Rover Velar features striking proportions, flush door handles, and an integrated rear spoiler which each add functional aerodynamics. Instantly recognizable for its signature Range Rover floating roof and continuous waistline, the Velar provides drivers with a sense of individuality and confidence from all angles. Continuing the brand’s storied reputation for off-road prowess, the Velar is constructed with 9.9-inch ground clearance, a 24° breakover angle, and a 30° departure angle to conquer even the most rugged terrain. Choose from lightweight aluminum 4-cylinder and powerful V6 engines paired with an advanced 8-speed automatic transmission for an ideal blend of power and efficiency. Designed with collaboration from world-renowned designers and craftspeople at Kvadrat, durable wool-blend and suedecloth fabrics can be selected in a selection of colors as an alternative to leather upholstery inside the Velar. A selection of four distinct audio systems allow you and your passengers to enjoy a concert-like listening experience. 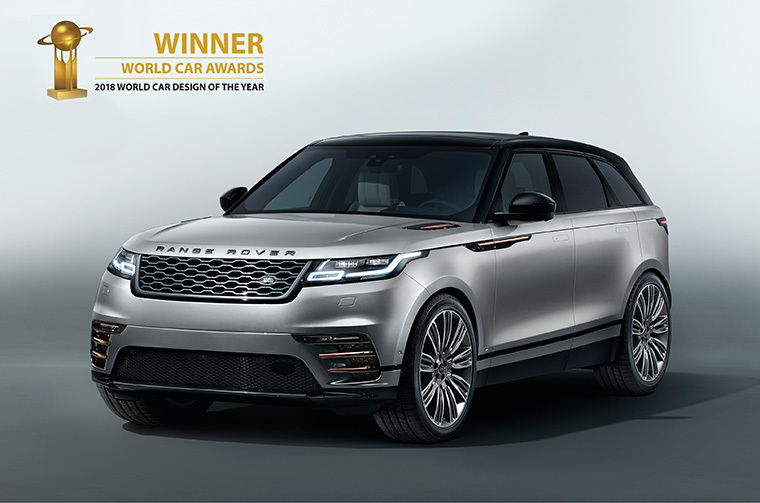 Making its mark in the automotive industry, the Range Rover Velar was named the World Car Design of the Year winner in the 2018 World Car Awards.